Bahia is a state in the Northeast region of Brazil. Salvador, the capital of the state, was also, the first capital of Brazil. Here Cabral landed in 1500 and Portugal started its American colony. Bahia is the birthplace of samba, capoeira and its Carnival is the biggest popular event in the world. 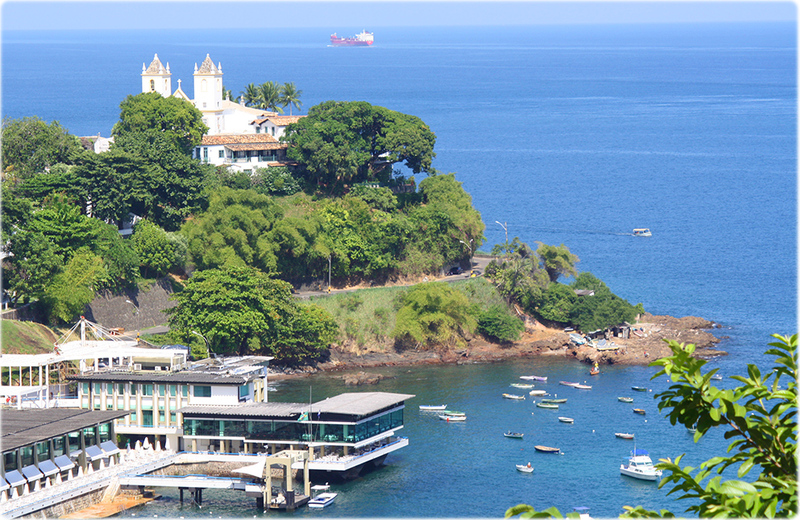 Bahia is also a land of great artists, writers and cineastes. 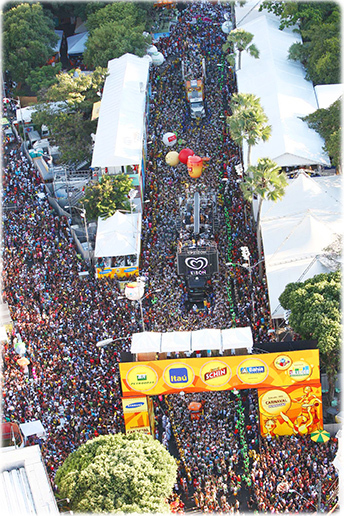 Carnival in Salvador, the biggest popular event in the world. More than two million people gathers together in the streets to dance with the trio elétricos. The beach of Trancoso and its golden sands in the southern coast of the state. Bahia is plenty of resorts, warm waters, mild climate and has year-round sunshine. Santo Antônio da Barra is an historic church in Salvador, founded in the 16th century. Itacaré, a paradise in the Bahian coast of Brazil. Colonial buildings in Pelourinho, Historic Center of Salvador, one of the oldest American cities. Copyright © Geographic Guide - South America countries Brasil - Geographic Guide Travel. South America, Brazileje. One of the beautiful beaches in Porto Seguro, in Bahia coast.